Castlebar - County Mayo - BELLS! BELLS! BELLS! BELLS ! BELLS! 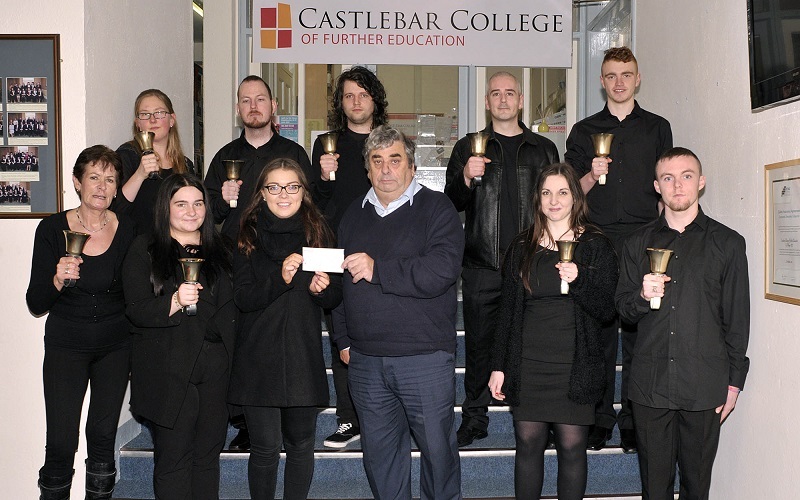 BELLS!, Castlebar College of Further Education Handbell Choir presenting Martin Waters, representative of St. Vincent De Paul, with money they collected for this very worthy cause while delighting the public with their handbell music. The bell choir will continue their work this Wednesday (9th December) at 8pm in Castlebar's lovely Christ Church when they will be joined by the Ballina Chamber Choir for a concert of choral gems and a seasonal mix of bell music. Tickets cost €10 and can be had at the door, but come early to ensure your place at this festive performance, a perfect start to the glorious Christmas season in Castlebar. Photo ©Ken Wright Photography 2015.